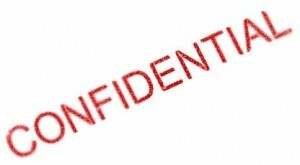 Francis Moran & Associates > Random thoughts > Why confidentiality? Inventors usually want to eventually profit from their inventions. They don’t want their ideas “stolen” by others. Unfortunately, the background principle of the law is that anybody is entitled to copy anything, unless there is a legal right in place that limits the right to copy. This principle is at the root of the market economy. Generally, legal rights over copying are known as “intellectual property.” Intellectual property (IP) focuses on patents, trademarks, copyright, designs, secrets and a few other secondary subjects. In every case, IP represents an exception to the general freedom of people to copy from any source in the world. Patents are a primary type of intellectual property. Inventors often say they are afraid that if they disclose their idea to someone else, then that other person will file for a patent. That is not possible, not in the sense that the other person will obtain a valid patent. Patents, to be valid, must originate from an inventor. They must be filed either by an inventor or by a person who has received an assignment of the right to file for a patent from an inventor. A person who overhears an idea is not entitled to file an application and expect to obtain a valid patent. Inventors will then say: “What if somebody cheats?” Well, that’s possible, but even if the patent were to issue in error, then in such a case during Court proceedings to enforce it the defendant would be entitled to explore the source of the idea in depth and, in Court proceedings, truth will generally come out. Therefore the fear that someone else will file for your own idea should not be a significant concern for inventors who want to preserve the rights in their inventions for themselves. In Canada and the U.S. there is a one-year grace period for an actual inventor, or somebody claiming under him, to file a patent application without being prejudiced by a public disclosure which originated from the same inventor. But beware: this is still a first-to-file system as between strangers. And although it’s called “first-to-file” the new law in the U.S. (since March 16, 2013) imposes “absolute novelty” between strangers. If someone else discloses your invention publicly before you file, then it’s too late for you to file. So don’t wait; don’t rely on the one-year grace period in Canada and the U.S. if you have made a public disclosure yourself. The grace period is there to protect applicants who, before filing, accidentally disclose their inventions in public or possibly disclose their invention for evaluation or testing. Even then the grace period when available sets an outside limit on how long an inventor may delay after making a public disclosure of his ideas: one year. On the other hand, if all the disclosures made by an inventor are made in confidence, and if the inventor is willing to run the risk that no one else will either file or publish the same ideas before the inventor initiates a patent filing, then such an inventor may delay indefinitely. This is because a disclosure made in confidence does not cut off the right to file for a patent in Europe, nor does it start the one-year grace period running in Canada and the U.S.
On this basis, it should be clear why it’s desirable to make disclosures in confidence. A disclosure made in confidence does not affect the deadline for filing a patent application. It shields an inventor from creating either an absolute bar to filing for a patent or from starting a deadline running. But what is a disclosure made in confidence? We will answer this question and several others in Part II next week. Well said, David! I would also add that the disclosing party must assess the risk of delaying filing a patent application against the number of confidential disclosures and his/her level of trust in the receiving party’s willingness to honour the NDA. Inadvertent disclosures are also a risk. It is less problematic to file a patent first rather than to establish a disclosure was made in confidence.